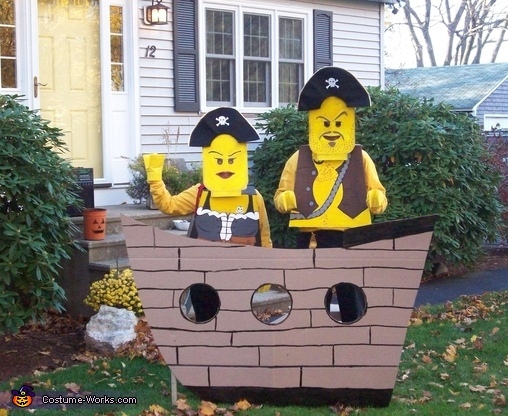 We are lego pirates sailing the seven seas, waiting for trick-or-treaters to board our ship! The people behind the mask our myself (Erick) and my girlfriend Heather. These costumes were homemade out of cardboard and hand painted. I do not have instructions though. I looked at an image of a lego mini-figure and kind of assumed some dimensions off of that.